With the arrest of six activist of the right-wing group Hindu Vahini, the police have claimed solving the mystery behind the stabbing spree in Hyderabad during the Id-uz-Zuha festival. The members of the group had allegedly committed attack on Muslims at five places in the city. The attackers had planned and committed the stabbings on the false pretext of cow slaughter by minority community in the city. At least, eight persons were injured in the incidents that had caused panic in the communally sensitive metropolis. The arrested radicals include K Unni Krishna, Suryavanshi Santosh, Sadanand, S Vinod, P Kalyan and Prabha Bhargav. Police had suspected that an extremist organisation could have been responsible for the incident that occurred during Baqrid. Unnikrishna is associated with the Telugu film industry while the rest are students, pursuing diverse courses. 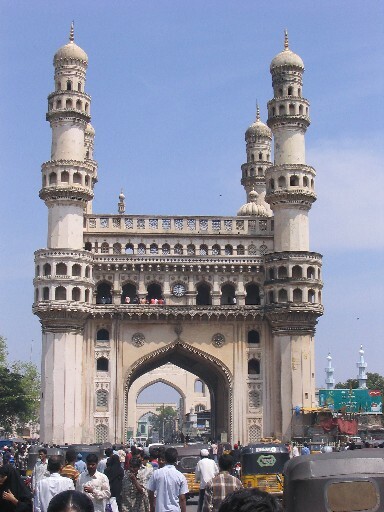 Hyderabad, the capital of Andhra Pradesh, has a strong Muslim population. Though the city has not witnessed major communal riots in the last two decades, it was earlier known for religious clashes and fragile inter-communal relations. In the last few years, it has been targeted by terrorists. Several bombs blasts occurred in the City. The role of Muslim militant groups and Hindu fundamentalist organisations have come to fore in these incidents of terrorism, particularly, at Lumbini Park and Mecca Masjid. With the Telangana issue already on the boil, the police were not taking any chances. The Task Force of the Police Commissioner conducted investigation and arrested the Hindu Vahini extremists, within days of the stabbings.